1. How long have you been in private practice, specializing in mercury and heavy metal toxicity and detoxification? 2. In your story, you mentioned your provoked DMPS urine mercury test was 140 ug/g and your mercury hair analysis test was 10.4 parts per million (ppm). I find that hard to believe. Can you show me your mercury/heavy metals hair analysis and provoked urine test? Also, can you show any of your paperwork as Dr. Dietrich Klinghardt’s patient? 3. Once I’ve had my first consultation with you, will I need additional follow-up consultations to successfully complete my detox program? Yes. For moderate to severe toxic cases, a 30 minute follow-up consult is needed about every 6 weeks. Your program will continue to change as you make progress. It is important to stay in touch with me somewhat regularly so we can make any needed modifications to your program and keep you steadily progressing forward. If you have more than a few brief questions during our follow-up, you will need to schedule a 45 or 60 minute follow-up, depending on how many questions you have. After you are established on Step 4 of the detox program (detoxification), you’ll likely need only a 15 minute follow-up consult about every 8 weeks until fully detoxified and recovered. Mild toxic cases: 0-2 follow-up consults. Moderate toxic cases: a few to several follow-up consults. Severe toxic cases: several or more follow-up consults. 4. Do you consult with clients for other health conditions other than mercury/heavy metal/environmental toxicity? 5. How many of your mercury toxic clients are severe toxic cases? 6. I know every case varies, but on average, how long does it typically take for a severe mercury toxic case to reach full recovery? 7. Do you require any lab tests before our initial consultation? 8. Do you require any other lab tests during my program? Yes. For moderate to severe cases, you will usually need a total of 3-4 hair analysis tests (toxic metals and full mineral analysis) to accurately monitor your ongoing progress in the reduction of toxic metal levels and restoration of cellular nutrition. On rare occasions, I may request a different lab test. 9. Do you answer questions via email or text? No. I offer phone consultations only. 10. Do you offer phone consultations via Skype (for out-of-country clients)? I prefer for you to call me directly if possible since Skype is sometimes unreliable with disconnections. But if needed, we can have our consult via phone Skype. 11. If I am too weak and sick to handle my 2 hour initial phone consultation at one time, can we schedule it in two separate one hour consults? 12. Do you call me for our consults or do I call you? For US clients: I call you. For international clients: You will be given a number to call me directly. 13. I live in Australia with a 14 hour time difference. Can you schedule me in during your off-business hours? Yes. For international clients with a 12 hour or more time change, I will schedule you in at 7:00 am or 7:00 pm EST (U.S. eastern/New York time zone). 14. How quickly can I get scheduled in for a follow up consultation if I have additional questions? Usually within 12 hours to 2 business days for my current clients. However, if it is urgent, I will get you in that same day or evening. 15. Did you fully recover without any remaining symptoms of any kind? 16. How long have you been fully recovered? 17. How long did it take you to recover? 7 1/2 years. I continued to consult with dozens of doctors internationally each year and was given many recommendations which did not help me at all and so often made me worse! If I knew then what I know now and diligently followed my cellular restoration and detox program, I would have been fully detoxified and recovered in approximately a year. 18. Did you develop parasites and/or Lyme? Yes. I had an extremely severe case of both and fully resolved both conditions along with my mercury/heavy metal toxicity. In addition to that, I recovered from the cellular damage resulting from the metals and pathogens. This is very much my area of first-hand expertise! 19. Do you address the issue of parasites with your clients? Absolutely! Leaky gut, candida overgrowth, Dysbiosis, parasites, viruses and other co-infections (harmful microbes) are always an issue for moderate to severely toxic cases and must be properly addressed to make significant progress. Even with mild toxic cases, the overgrowth of harmful pathogens is an issue to one level or another. 20. 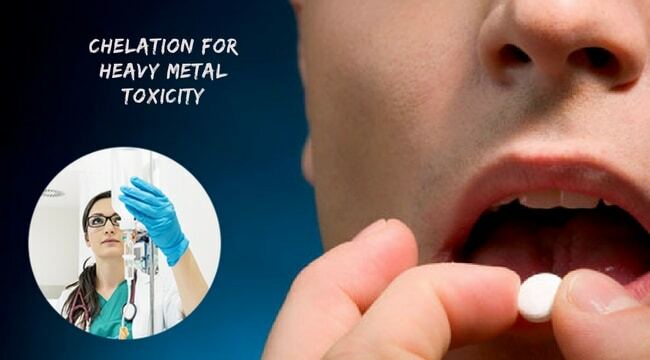 Since medical and dental schools in America still do not teach about mercury toxicity and detoxification, where did you get the information you share with your clients? I am qualified as a licensed and board certified Holistic Health Practitioner and graduate from the Integrative Institute for Nutrition and Columbia University Teachers College in New York, New York. I am licensed by the American Association of Drugless Practitioners. It was the many frustrations, financial loss and debilitating medical protocols that inspired me to further my educational studies and turn my life around to helping others who share my condition. I had many excellent, experienced and open-minded teachers who motivated me. 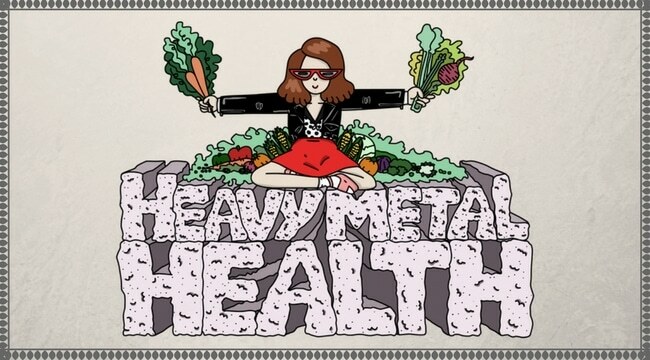 I consider myself a shining example of successful mercury and heavy metal detox. Just knowing that one severely toxic person was able to fully recover from this debilitating nightmare should give hope to all who struggle with heavy metal poisoning. I share much of what I learned specifically from the doctor responsible for saving my life, Dietrich Klinghardt, MD, Phd, who is renowned as the #1 top doctor in the world for the treatment of mercury toxicity and its related health conditions. Another doctor, Jack Young, MD, specialized in treating thyroid conditions and his expertise succeeded in helping me when other protocols sorely failed. His knowledge and skill taught me a whole new understanding about how to achieve and maintain balanced thyroid hormone levels, and rather easily! This is critical. Since mercury binds to thyroid hormone, ‘stealing’ it from the body’s cells, developing a hypo-thyroid condition is common. It is imperative this be effectively addressed. I also share a lot of what I learned on my own through an enormous amount of trial and error experience and understanding throughout my 7 ½ year mercury experience. In addition to this, I use what I have learned and continue to learn, specializing in my private practice of consulting with other victims of mercury/heavy metal toxicity. 21. Do you typically recommend DMPS or DMSA for chelation? No, especially not for moderate to severely toxic cases, as they cannot usually tolerate these toxic, harsh synthetic chelators without causing excessive nutritional depletion and cellular breakdown. This exacerbates symptoms and can become severely debilitating both mentally and physically, and even life-threatening. Mildly toxic cases can usually tolerate these chelators for a period of time because their cellular damage and nutritional deficiencies are less severe. I recommend specific food nutrients and metal detoxifiers, which extract metals as chelators do, but without the damaging effects. Most importantly, for a safe, pain-free detoxification program, it is essential to properly prepare the body BEFORE removing the metals. At my first visit with Dr. Klinghardt, he told me NOT to take DMPS, DMSA (or MSM, NAC, cilantro or chlorella), as I was far too toxic and my methylation was too impaired. My body was not capable of handling these commonly recommended standard chelators and supplements. This is typical for more severely toxic cases. Know there is a much easier, safer way which I am happy to impart! 22. If I still want to use DMPS or DMSA for chelation, will you still work with me? Absolutely. I will give you some extremely helpful knowledge to make it a safer, less problematic experience. 23. Approximately how much will it cost to follow your full program? Anywhere from approximately $700-$1200 a month. Yes, I know it may sound like a lot! But, consider the hundreds of thousands of dollars I spent NOT to get better, but worse! Below is how to apply your funds for the full program. 1). If you are not accustomed to buying grass-fed, hormone-free beef, chicken or turkey, organic, free-roaming eggs or all fresh organic foods, it will cost an additional $200 monthly or more for your groceries. 2). Approximately $500 monthly for about 15 nutraceuticals you will need until fully recovered (detailed in your personalized program). 3). Your follow-up consults with me will usually cost approximately $100 every 6-8 weeks (usually 30 minute consults but depends upon how many questions you have). 4). I usually recommend you consult with your physician for 1-3 items which are necessary to obtain through a physician. Two of these items are not covered by health insurance. 5). In most cases, you will need to order a total of 3-4 hair analysis tests (toxic metals and full mineral analysis) to accurately monitor your ongoing progress in the reduction of toxic metal levels and restoration of cellular nutrition. 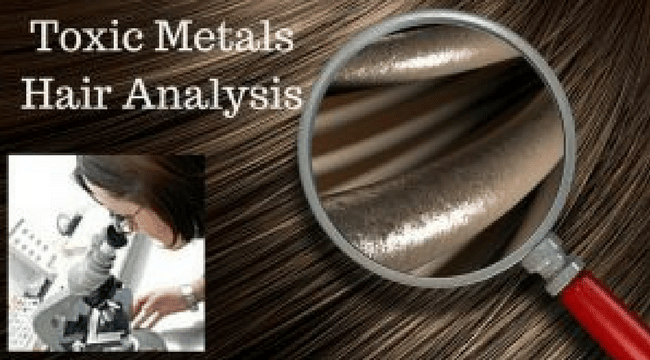 Toxic Metals and Full Mineral Hair Analysis Tests ordered through me are $147.00. Other hair tests usually costs about $210.00-$350.00 depending on the lab. Hair tests are not covered by health insurance, medicaid or medicare. 24. What if I can’t afford to pay that each month? If you cannot comfortably afford to pay for the nutraceuticals, lab tests or consultations with me, please visit my Blog page or the NOTES page of my Facebook page to read some informative articles I have written. Follow the information provided as thoroughly as possible and save your money to buy healthy organic foods. Your immediate priority is to eliminate the exposure to mercury and other metals, which includes replacing amalgam fillings, if applicable, eliminating all seafood consumption (except sardines and anchovies), drinking a clean source of water, etc. Please read my article titled: Top 12 Ways to Prevent Exposure to Mercury, Other Heavy Metals and Environmental Toxins. 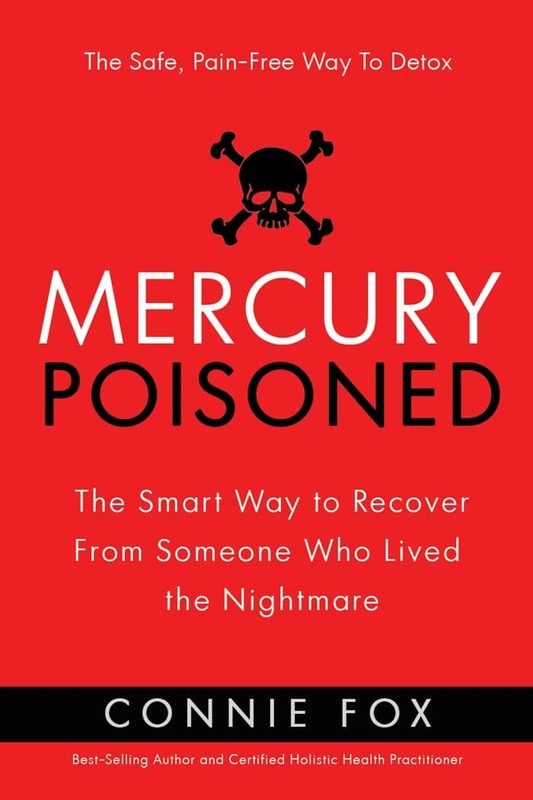 I am working hard in the free time I have available to provide you with more helpful, detailed information in my upcoming book: Mercury Poisoned: The Smart Way to Recover from Someone Who Lived the Nightmare. I continue to write more informative articles for my blog and Facebook page when I can. 25. Can I follow your detox program without the support of a doctor? Yes. But, I prefer you to have a local doctor who at least acknowledges the condition of mercury toxicity to support you throughout your recovery. I will either refer you to a more knowledgeable doctor or steer you in the right direction to finding one. 26. Will my health insurance cover any of these expenses? No. Your health insurance will likely only cover the cost of your thyroid blood tests. I spent several hundred thousand dollars in 7 ½ years in medical expenses. I had a good PPO health insurance the entire time, which reimbursed me for less than a total of $5,000. This does not include what I spent on traveling expenses seeing doctors throughout the US and Europe, nor does it include living off my savings, unable to work for almost 8 years! 27. Can I purchase the nutraceuticals you recommend from health food stores or from websites? Yes. To date, I have directed my clients to a variety of sources and given recommendations as to the best quality brands available. You can also purchase most of these products through an online dispensary at Wellevate.me from Emerson Ecologics, a distributor of hundreds of brands of nutraceuticals sold through licensed health professionals (available for clients only). It is my hope to soon be able to directly offer “bundles” of the necessary products at a greater cost-savings and ordering convenience for all my clients. This would save clients from the hassles of making multiple orders monthly via different websites and with multiple shipping charges, and trips to the health food store. 28. When will your book be published? I am sorry for the delay in getting it completed! I haven’t had much spare time to work on it, but I hope to finish it as soon as possible. However, it is about 90% done. All clients are given my unfinished book on a pdf doc. 30. I understand that specific recommendations for your clients will vary from case to case, but can you give me a basic general guideline of what to expect from your mercury detox program? 31. In general, how do you describe a mild, moderate or severely mercury toxic case? Able to work full time, socialize and live a rather normal life, but coping with mild symptoms such as: lower than normal energy levels, mild gut issues, minor candida overgrowth, mild depression and anxiety, feeling abnormally reclusive, uncomfortable, shy or insecure in social or public settings, slightly irritable on and off or with mild emotional ups and downs, feeling or sensing that your mind’s thoughts are busier than what seems “normal”, feeling agitated and uncomfortable in your body for no apparent reason, more chronically worried, allergies or minor food sensitivities, nutritional deficiencies, although not yet usually aware of it. Struggling to maintain a full time job or caring for home/children, or has already reduced work hours from full time to part time as a result of health issues. Regularly not able to attend social gatherings, not always reliable with keeping appointments or other scheduled events due to your days being unpredictable with how you feel. Coping with significant uncomfortable symptoms such as: headaches, brain fog, fearful and busy racing mind, feeling reclusive, uncomfortable and insecure or shy around others in social or public settings, emotionally sensitive with scary emotional mood swings, crying spells or irritable or angry “for no seeming reason”, simple tasks seem stressful, depression, anxiety, insomnia, chronic fatigue, sometimes panicky, Fibromyalgia type symptoms, brain fog, skin issues (burning, itching, rashes), IBS, weak digestion or other leaky gut issues, food sensitivities, candida overgrowth, dysbiosis, weak appetite (more uncomfortable to eat), alcohol and coffee intolerance, frequent urination, bladder irritation / Interstitial Cystitis, susceptible to developing infections (bladder, prostate, vaginal, lung, sinus, throat, flu), significant to severe nutritional deficiencies, poor assimilation and methylation, hypo-thyroid condition. Likely have seen or are seeing doctors for depression, anxiety, insomnia, gut issues, urology/gynecology problems, thyroid issues, hormonal imbalances, allergies, bodily aches and pains (chiropractor/ acupuncturist). Unable to work and completely house bound. Unable to handle simple mind tasks such as going through mail, writing checks, balancing bank account. No longer able to handle simple errands or grocery store shopping, or are still doing very minimally, yet it is an extremely fearful, stressful and exhausting experience; in extreme fear continuously, panic or regular panic attacks, severe anxiety and depression, insomnia, maddening non-stop compulsive thinking, frequent suicidal thoughts, developing phobias such as fear of being in small rooms, afraid of the dark, afraid you’re going to kill yourself, die alone or afraid to be alone, severe gut issues, headaches and severe head pressure, pulling sensation in head, extreme brain fog and poor short term memory, dizziness or vertigo, nerve twinges, skin problems (tingling, itching, burning, stinging like battery acid, rashes) paranoia, heart palpitations, extreme exhaustion, feeling oxygen deprived, severe uncontrollable crying spells or anger outbursts, sensitivities to normal sounds, bright light or exposure to EMF’s, chemically sensitive (perfume, air fresheners, house cleaners, cigarette smoke), wouldn’t even think about drinking alcohol or coffee, very frequent urination, especially at night, bladder irritation/Interstitial Cystitis, extremely weak or insatiable/excessive appetite, weight loss, terrifying adrenaline rushes (spontaneous fight or flight responses), more severe bodily aches and pains/joint pain, can’t stand being in your own skin every waking moment, feeling like you’re going totally insane, feeling surreal (not in reality), declining vision, sometimes with floaters, too stressful and uncomfortable to watch TV or listen to music, feels like you’re being constantly electrocuted internally. 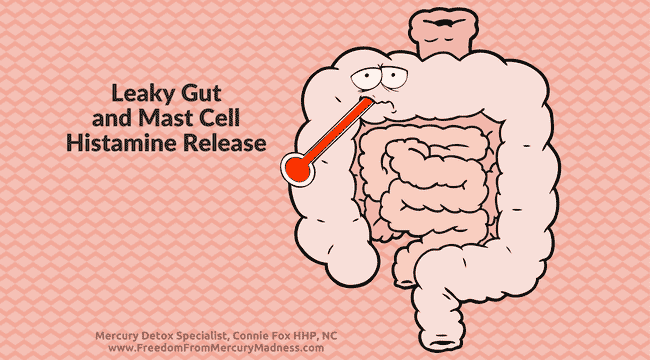 Chronic infections (bladder, prostate, vaginal, lung, sinus, throat, flu), severe hypo-thyroid condition, severe nutritional deficiencies, usually very high B12 levels (due to poor assimilation and methylation), low iron and high copper level is common.